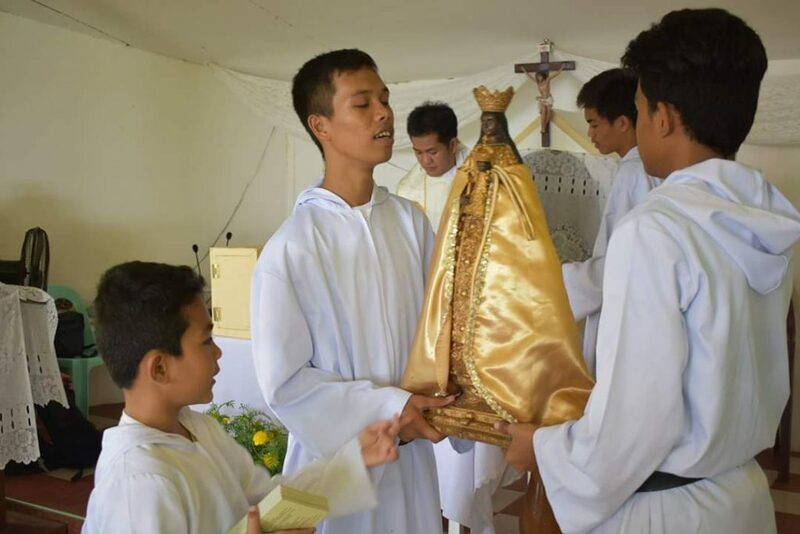 Hinatuan, SURIGAO DEL SUR– The Catholic faithful of the chapel of St. Roque in Barangay Campa which is under the Recollect-administered quasi parish here celebrated for the first time the feast of Nuestra Señora de la Salud (Our Lady of Health), or simply known as La Salud, on her feast day last November 17. The image of the Black Virgin was enthroned to the grotto of the chapel in May of this year. 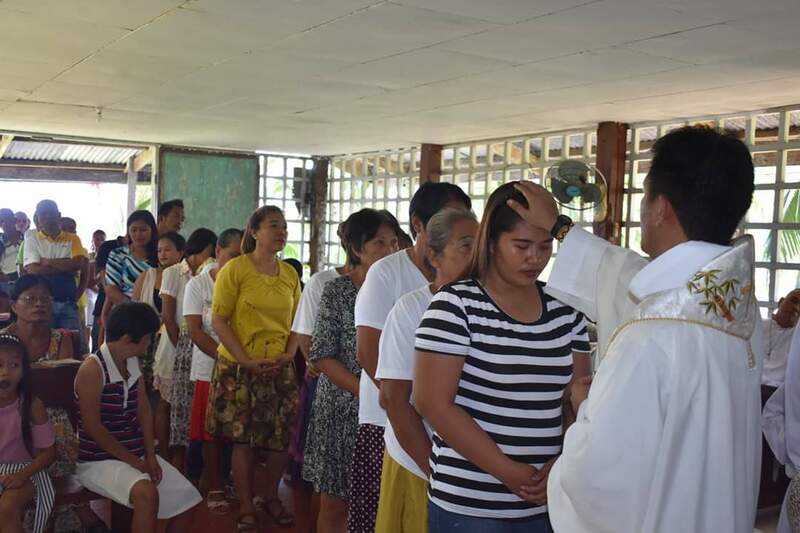 To mark her fiesta and propagate devotion to Her, a healing Mass was celebrated with Fr. Mark Saludes, OAR as the presiding minister. It was concluded with the rite of Holy Anointing, kissing of the image, and distribution of stampitas. The community is grateful for the presence of this Virgin of Health as there are now a growing number of devotees. 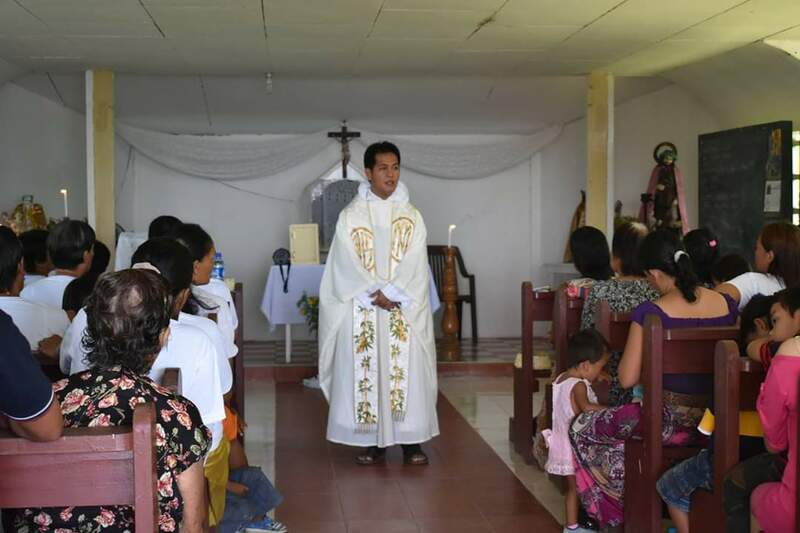 Fray Mark Saludes, OAR, presided the Holy Mass in honor of Nuestra Señora de la Salud. The Rite of Annointing of the sick followed after the Mass.